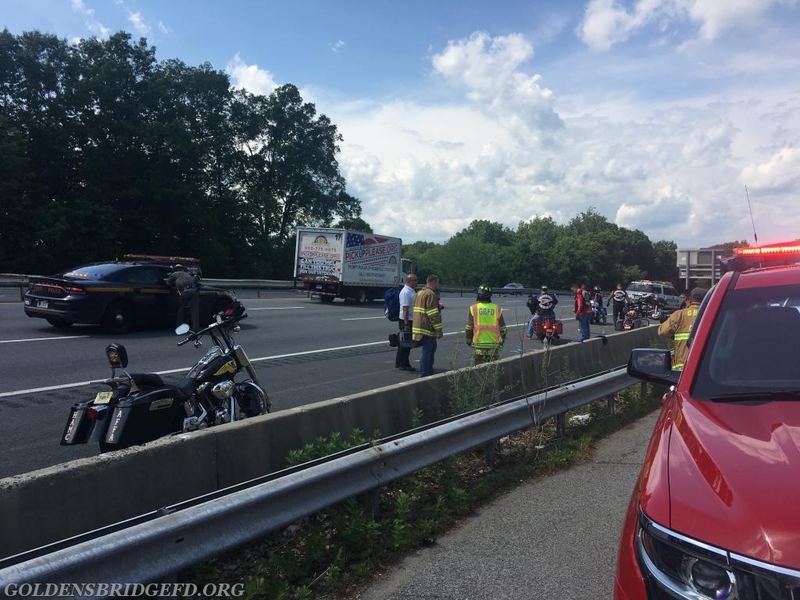 Just before 3 o'clock Friday afternoon, Golden's Bridge Fire Department, along with Lewisboro VAC & Westchester EMS, were dispatched to I684 Northbound around mile marker 20.5 for a MVA involving multiple motorcycles. Car 2142 and Car 2144 were responding within 2 minutes of dispatch, with Engine 140 and Tanker 1 responding right behind them. 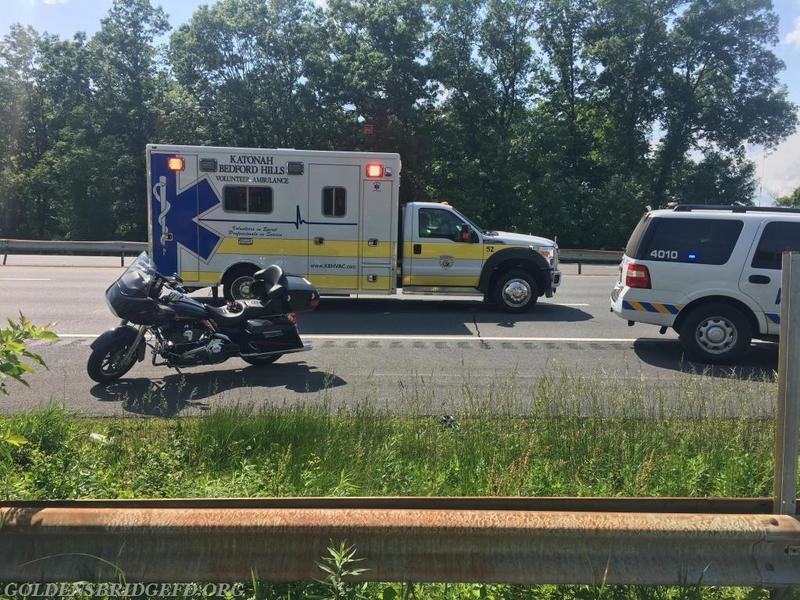 Car 2142 was first on scene and confirmed multiple motorcycles involved and that he had multiple patients with traumatic injuries. A second ambulance was requested by WEMS 4515 and Katonah Bedford Hills VAC 65B2 picked up the request for mutual aid. 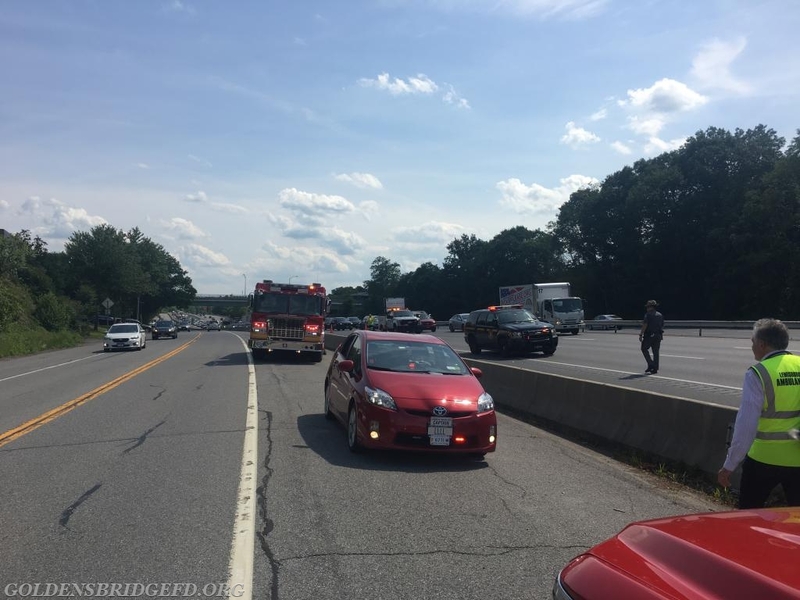 Multiple lanes of I684 Northbound and one lane of Route 22 was shut down to protect the accident scene & emergency services personal. One patient was transported by Lewisboro EMS and the other was transported by KBH EMS to a local hospital for treatment. 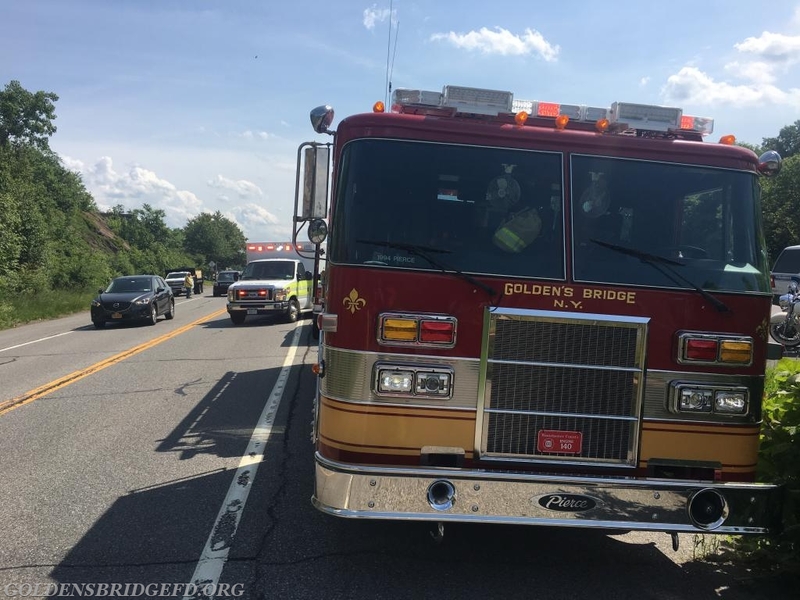 Golden's Bridge Fire Units operated on the scene for about 1 hour until turning the scene over to the New York State Police for Investigation. GBFD Engine 140 & LVAC 67B2 on the scene. KBHVAC 65B2 & WEMS 4515 operating. GBFD Tanker 1 in the blocking position. A overview of the accident scene.